Try as I may I’m going to hold onto the last few days of Summer as despite my favourite season rolling around very soon we’re not technically there just yet, I mean I haven’t even found my new winter coat yet! Whilst going for a walk on Sunday evening I decided to wear my Le Specs Tweedledum* frames as it was surprisingly sunny and rather warm to boot. Summer that evening was most certainly still in swing so I embraced it completely. 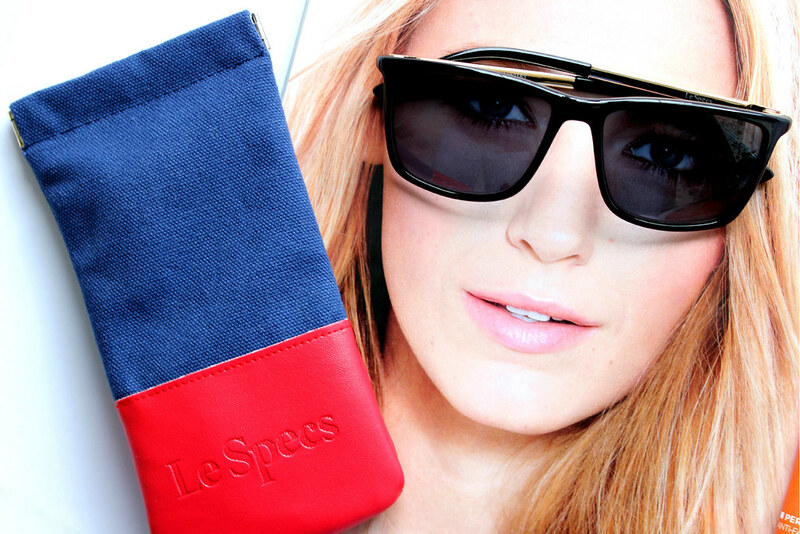 Le Specs is a brand that originates from Australia and is one that up until this point I had never heard of. The Le Specs designs that are currently available from the Sunglasses Shop are rather unique in my opinion and are typical of the oversize large frame that is ever so popular these days once the sunshine pops out. For the purpose of this review I decided to try the Tweedledum frame in black as it was the frame that appealed to me most. Sporting a black frame and lens along with golden temples this frame in particular is classic and stylish. 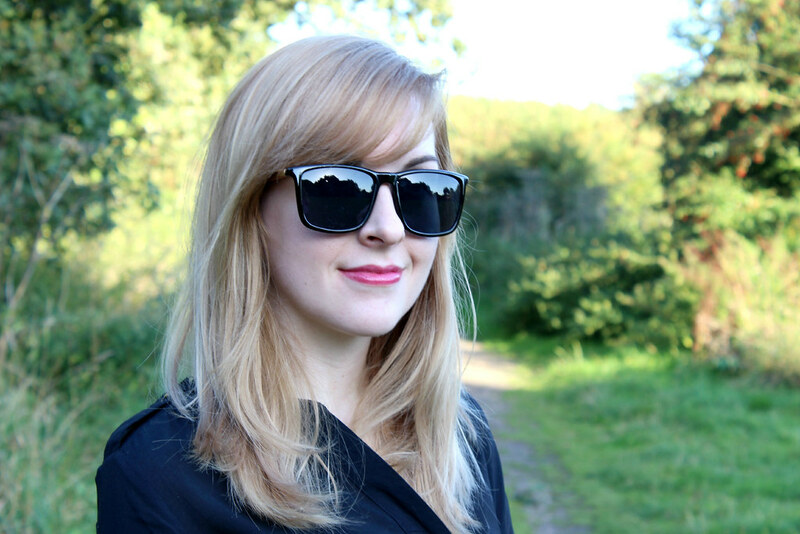 The frame feels really well made and is quite robust making them seem a lot more durable than previous sunglasses that I have tried; of course there is also a protective case for them to be kept in which can be seen above. The Tweedledum frame is pretty comfortable to wear too as I wore them for a good few hours that evening whilst on my walk. I find that sometimes after a certain period of time glasses can make the tops of my ears hurt ever so slightly whereas I had no problem with these at all. Overall these frames are really very nice indeed which makes me really happy to be able to offer one of you on behalf of the Sunglasses Shop the chance to win this frame or any indeed other from the Le Specs range at the Sunglasses Shop. All you have to do is simply fill out the rafflecopter widget below, like the Sunglasses Shop Facebook page and leave me a comment stating which pair of sunglasses you would like from the Le Specs range. The giveaway will run for one week and is open internationally. The winner will be announced shortly after wards whereby his or her contact and choice will be passed onto the team at the Sunglasses Shop. Good luck!